A Chinese herbal medicine company recently came under fire for using what it called fire to treat critical disease. 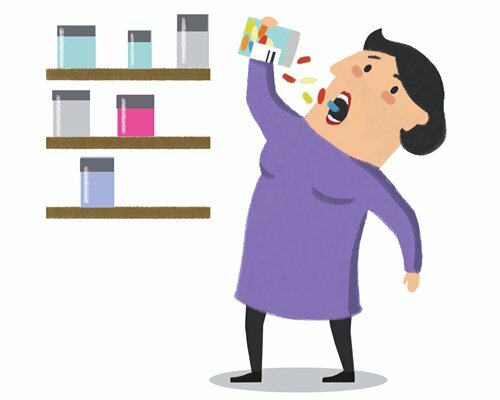 Though the use of nutritional supplements has always been controversial in China, it came to a point where law enforcement authorities in North China's Tianjin Municipality arrested the owner of Quanjian Group and others in January 2019, accusing them of illegal multi-level marketing and false advertising claims. To most people using fire for treatment may sound like a joke, but some were convinced it can. Quanjian preyed upon people's belief in the way it advertised its products. Using a network of over 600 hospitals and more than 7,000 fire treatment clubs, Quanjian created an empire of nutrition products with annual revenue of nearly 20 billion yuan ($3 billion). It had launched a powerful publicity blitz to persuade people about the efficacy of its product. Why, you may wonder, does an unscrupulous business operator repeatedly fleece people - even though treatment by fire seems to be a new way of doing it? Before I try to answer this question, let me share with you some facts which you may otherwise ignore. How would you categorize nutrition products? Do you think they are a kind of elixir, very special and different from the food we eat every day? Or do you think they are like medicine you buy from the pharmacy? All medicine including OTC products need CFDA (China FDA) approval. But nutrition products don't. They are treated like food products in China, which means unlike medicine, not every batch is inspected, let alone subjected to clinical trials before being sold. Moreover, the products are not as effective as they claim to be. Nutrition formulations are like the food we eat, except that they weave magic with persuasive advertising. There is nothing new such products offer you. But why are Chinese people so obsessed with nutrition products? There are three reasons. First, it is human nature to seek a shortcut to achieve a goal. People tend to believe in miracles rather than hard facts and statistics. People tend to be different but in most cases they are not. Second reason is the belief in the philosophy that TCM (Traditional Chinese Medicine) treats patients based on experience handed down over generations. We tend to believe doctors or people with rich experience. However, at times it becomes hard to tell made-up stories from real experience that leads to pyramid selling scams. Third, the Chinese education system doesn't encourage critical thinking. Reciting works of classical literature is a must, but challenging authority is not part of the tradition. Therefore, when ridiculous stories are hammered into our minds again and again, we tend to easily believe them. I also examined the annual financial report of a nutrition products giant and found it only invested one percent of the revenue in research and development. While for pharmaceutical companies, the global average was 20.9 percent in 2017, though it is lower for Chinese pharma firms. I also wondered how well nutrition companies spent this 1 percent. An insider told me it is not well spent but used for paying scientists who publish papers to support the product claims. In a reality show broadcast recently, a famous female anchor took 9 different nutrition tablets after a clearly unhealthy day - eating very little, sleeping late, and no exercise. Would the tablets work or just have a placebo effect? In the end, balanced diet, exercise and relaxation are fundamental to a healthy life. If you are sick, visit a doctor and listen to his or her advice. Don't give up scientific treatment for a "folk prescription." There is no shortcut. Miracles don't happen. At least there is no such thing for most of us.